He soon discovers that not only he, but his wizardly partner Nita Callahan and her sister Dairine, his friend Ronan Nolan, and tens of thousands of other wizards from Earth have also been drafted in to intervene on the distant world called Tevaral. There the planet’s single huge moon Thesba has become tectonically unstable and will very soon tear itself apart, its massive fragments smashing down onto the surface of Tevaral and utterly destroying it. The wizards’ mission: to extract Tevaral’s hominid population and “raft” them off-planet to new homeworlds before the apocalyptic disaster begins. There’s only one problem: millions of the people of Tevaral don’t want to go. Young Wizards: Lifeboats is a 90,000+ word canonical work in the Young Wizards universe, and is set in February 2011, shortly after the events of the two preceding YW novellas, Not On My Patch and How Lovely Are Thy Branches. These three works together constitute a “transitional trilogy” preceding the events of the forthcoming Games Wizards Play. The standalone ebook edition of YW: Lifeboats is now available at Ebooks Direct. 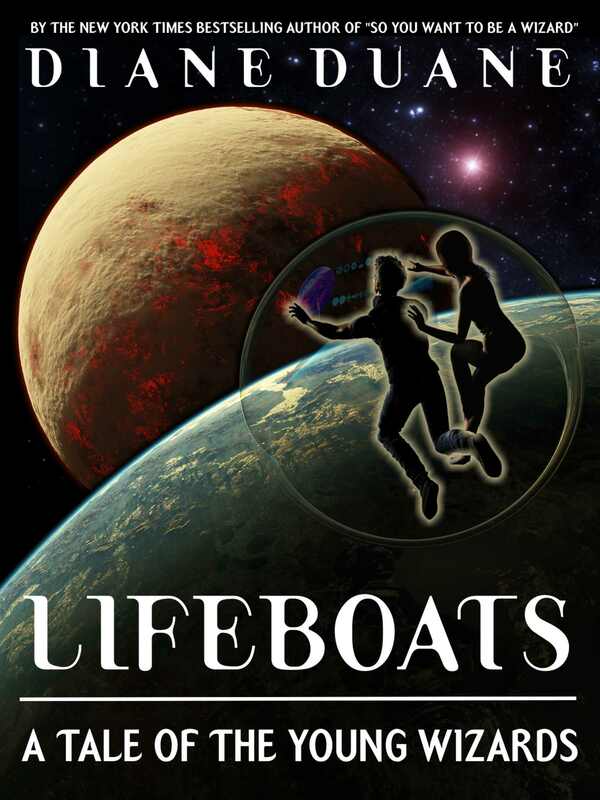 A compendium volume, including Lifeboats and its two companion novellas, will be published in both print and ebook formats at Amazon.com in mid-September 2015.